By Marton Fekete in Internet. Updated on April 10, 2019 . All browsers provide you with a way for a so-called private browsing experience, and the descriptions are also in the same vein. Chrome named the option Incognito Mode, Firefox and Safari call it Private Browsing, while IE calls it InPrivate. The descriptions give you the impression that if you don’t want your browsing to be recorded, you should switch to this mode and you should be safe. However, any software is only as safe as the person who’s using it. The purpose of this article is to explain what private browsing actually helps with (you might be surprised by some of the revelations) and how you can expand the security possibilities. Before I start describing what your private browser does not do, let’s quickly review what the regular browsers actually do when you’re surfing. Private browsing discards browsing history while in incognito mode, so your movement will not be recorded in your browser history. Your cookies, although created, will be deleted as soon as you close a private window, so you’ll be able to utilize the possibility of those cookies only while the original window/tab is still open. Some extensions/plugins will be disabled if their developer decided on that on your behalf. 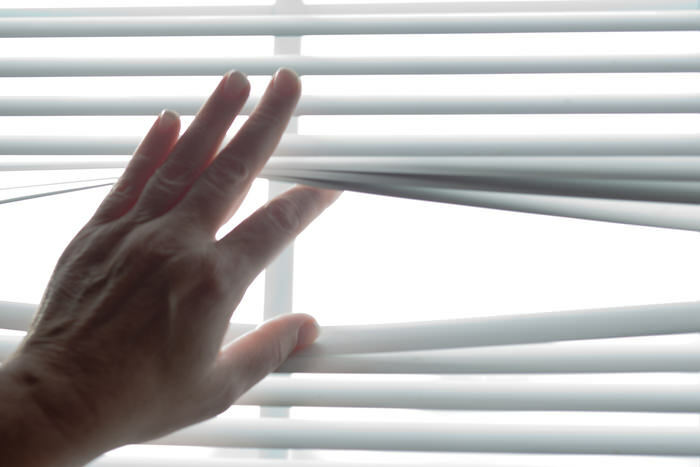 Private browser windows have access to previously stored data like saved passwords, browsing history that are acquired though non-private browsing. The data is still accessible in private mode. That’s about it. Now, if you compare the list to the one before about who stores data on your online activity, you’ll see that a lot of tracking points are still active. Just in case you didn’t know: basically every single site knows and records your actions on that particular site. What’s more, on most places you’ll have more than just one party eyeing you. 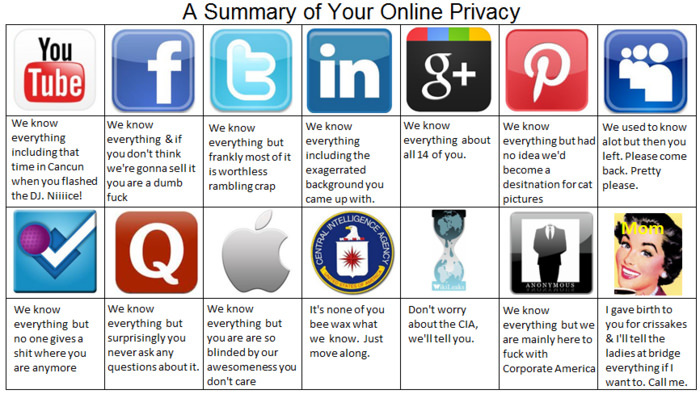 For a less technical but way funnier (yet sadly true) explanation, here’s a summary of your online privacy. You should also know that your Internet Service Provider will also record your online behavior regardless of your browser settings for security and statistic purposes. I hope you’re starting to see why private browsing is not the real solution for true privacy. So What Can You Use Private Browsing For? Since cookies are unrecognized in private mode, you can log in to any site, say your Facebook or an email service in private mode and you don‘t have to worry that your account will stay active for others once you’re finished browsing and closed the window. This is an excellent feature if you’re using a shared computer/terminal that is probably going to be used after you’d finished, e.g. at school or at an internet cafe. For the same reason I suggest private browsing if you’re using someone else’s private computer. For one, you’re making sure the browser doesn’t remember your credentials – and also, you’re making it more convenient for the other person to get back to their account once you’ve finished. Most login-required services do not share Google Accounts’ possibility to handle multiple accounts at the same time – in this case, private browsing is your solution. After you’ve logged in to any of your accounts in a regular or private window, open a new private window and you’ll see that the same service asks for login credentials again. A new tab probably won’t do the trick as your cookies most probably haven’t been deleted yet. Hint: Developers also find his feature useful when testing different user roles on a site they’re working on – this way they needn’t have any plugins or extensions just to test multiple accounts. For some reason or another, most people on the Internet have probably deleted their browsing history at least a couple of times. It’s easier to activate private browsing before you visit those not-to-be-remembered sites than it is to remember to clear the browsing history when you’re finished. Especially if your surfing is interrupted suddenly (for the sake of an appropriate example, let’s say your teacher or boss enters the room where you’re not supposed to use the Internet at all). So how can I stay hidden? For the truly paranoid, a good, old fashioned nomadic lifestyle without the Internet is a great idea. Thankfully though, there are options for the rest of us sane people as well. The easiest (and least effective) is to always log out of any accounts (especially social networks and email providers) before closing the services’ websites. This way they might not be able to track your steps. Another easily achieved solution would be turning on Do Not Track on Firefox (as explained here). This feature lets you express a preference not to be tracked by websites. When the feature is enabled, Firefox will tell advertising networks and other websites and applications that you want to opt-out of tracking for purposes like behavioral advertising. It should be noted though that nothing and nobody compels these sites to actually honor your wish, although Firefox says that companies are starting to support this feature. If you’re concerned with your searches being tracked, give DuckDuckGo a chance. Their vision is simple: “To give you great search results without tracking you.” It’s awesome. If you want a truly secure browser that helps obfuscate you from all sites you visit (instead of just hiding your steps locally), you should check out Tor. Finally, if you want to stay as hidden as possible and willing to take a few extra steps, you should consider using Anonymizer to hide your IP address. Or you might opt for the whole deal and install a Virtual Private Network, such as AnchorFree. They secure your browsing session, block malware, enable you to access any site anywhere and also protect your IP address. It doesn’t really get any more secure than that. Except going full nomad, of course. Editor’s note: This is written by Marton Fekete for Hongkiat.com. Marton is a Hungarian site developer recently hooked on WordPress. He is a redesign enthusiast and freelance content writer who likes playing RPGs in his free time.